A man carries fuel pump at a gas station in Commonwealth in Quezon City. In a bid to “pre-empt” any threats to its inflation outlook, the policy-making Monetary Board at its November meeting “proactively” lifted interest rates for a fifth straight month this year by a modest 25 basis points. MANILA, Philippines — With soaring prices seen going down in the next months, the Bangko Sentral ng Pilipinas can now afford to leave its benchmark rates unchanged until next year, economists said. In a bid to “pre-empt” any threats to its inflation outlook, the policy-making Monetary Board at its November meeting “proactively” lifted interest rates for a fifth straight month this year by a modest 25 basis points. The central bank also adjusted its inflation forecasts, with soaring prices projected to breach the government’s 2-4 percent target band this year, before returning within the acceptable target range for the country in 2019. Since May, the BSP has delivered back-to-back interest rate hikes of 1.75 percentage points, bringing the key policy rate to 4.75 percent, the highest since March 2009. “With inflation set to drop back steadily over the coming months, we think today’s rate hike by the central bank of the Philippines will be the last in the current cycle,” said Alex Holmes, Asia economist at London-based think tank Capital Economics. “We expect rates to be left unchanged at 4.75 percent until the end of 2019,” Holmes added. Inflation clocked in at 6.7 percent in September and October, the fastest pace in nearly a decade. Year-to-date, inflation averaged 5.1 percent, well above the government’s target range. Meanwhile, the peso is expected to benefit from the latest round of monetary policy tightening, although the country’s widening current account gap may exert a “mild depreciation,” said Nicholas Mapa, senior economist at ING Bank in Manila. In revising its inflation outlook, the BSP said it took into account the expected upward price pressures from transport fare hikes and minimum wage adjustments kicking in this month. The impact of rice tariffication and suspension of a new round of oil tax hike was also factored into the central bank’s revised price projections. Both measures are predicted to shave almost 1 percentage point off inflation next year, policymakers said. Separately, analysts at ANZ Research said the BSP will likely pause at their December 13 meeting until next year. “Accordingly, we expect the BSP to remain on hold next month. 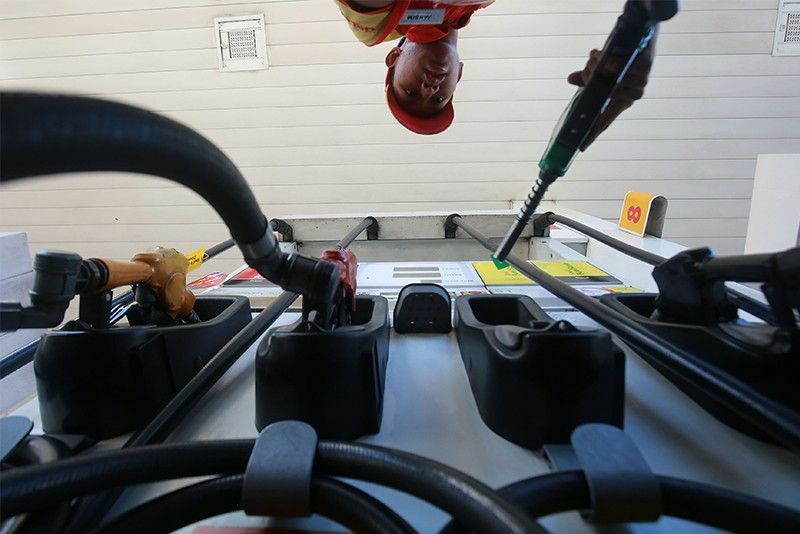 Should oil prices remain steady, the effective execution of supply-side measures by the government should provide the central bank with room to keep rates on hold in 2019, in our view,” they said. Flights affected were international and domestic flights of Cebu Pacific, Air Asia and Philippine Airlines.